by Stefania Rudd, Arpad Okay, Clyde Hall, Brendan Hodgdon and Jarrod Jones. 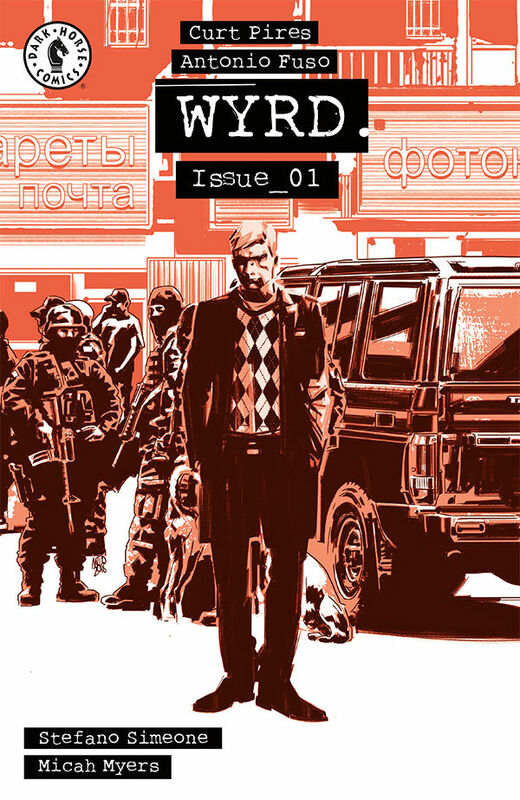 Comics that challenge us, slay us, beguile us — the comics we simply can’t wait to devour. That’s DoomRocket’s Staff Picks. From ‘Peter Cannon: Thunderbolt’ #1 to Dark Horse Comics’ ‘Wyrd’, here are the comics that have our hearts set ablaze this week. JJ: Here’s a superhero who has smashed crime for both Charlton Comics and DC, who’s languished in relative obscurity and lingered in infamy-by-proxy. He joined the super-fracas brought on by the Anti-Monitor and played a peculiar role in one of the biggest atrocities in comic book fiction. And all he ever had to do was exist… in the fictional sense, of course. Now he’s returned, with a new creative team at his back and a new lease on life. The future for Peter Cannon is looking absolutely Dynamite. That’s right. 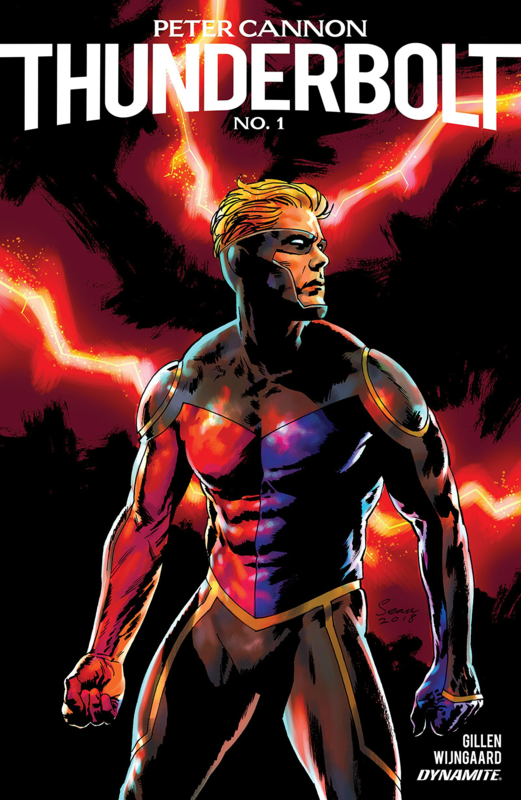 Peter Cannon, Thunderbolt, the world-famous brainchild of Pete Morisi, has returned for another mind-flexing bout against the forces of darkness courtesy of Dynamite Entertainment. And *squints* who is that creative team behind him? Why, it’s none other than Kieron Gillen, he lately of The Wicked + The Divine, Die, and an outright legendary run at Marvel. That alone should be enough to get your attention. Compounding the hype behind this latest Thunderbolt run is a veritable red carpet rolled out for you, your expectations, and your hard-earned cash: Art duties for Peter Cannon: Thunderbolt will be handled by Caspar Wijngaard, who’s been channeling his inner Anka of late, and Mary Safro, who conjures just the right hues for any given situation you’d swear she’d tapped into the Fifth Dimension. And then there’s jack-of-all-trades Hassan Otsmane-Elhaou, who contributes letters to the production with a reliably sharp edge. Thunderbolt’s DC doppelgänger, Ozymandias, is currently running amok over in Doomsday Clock, so you’d think that there was already enough cerebral, bottle-blonde super-deconstruction running around. Count on Gillen to reclaim the Thunderbolt standard from his more famous counterpart, instilling agency to the Morisi legacy and letting us have a bit of fun while doing it. And bonus: we get to dig on Wijngaard’s McKelvie-esque redesign of Cannon’s original red-and-blues. A thunder-crackin’ good time awaits. Written by Zac Thompson & Lonnie Nadler. BH: In the history of superhero comics perhaps none have been so well-equipped for alternate-reality storytelling than the X-Man. From Days of Future Past to Age of Apocalypse to Age of X and beyond, the Children of the Atom have lived through many exciting timelines that gave creators a chance to have a lot of conceptual fun. That tradition continues with Age of X-Man, which kicks off with today’s Alpha issue. Writers Lonnie Nadler & Zac Thompson, who are also showrunning the event spinning out from this issue, already proved their X-chops with an all-too-short Cable run last year. Now, their uncanny sense for intense sci-fi worldbuilding is being put to use in the most epic of ways, establishing a whole new alternate X-world for us to explore. And such a parallel world could not look any better than it does here, with art by the esteemed Ramon Rosanas, colorist Tríona Farrell, and letterer Clayton Cowles. There’s a lot to set up in this single issue, and an artist like Rosanas is exactly the right person to bring it all to life. 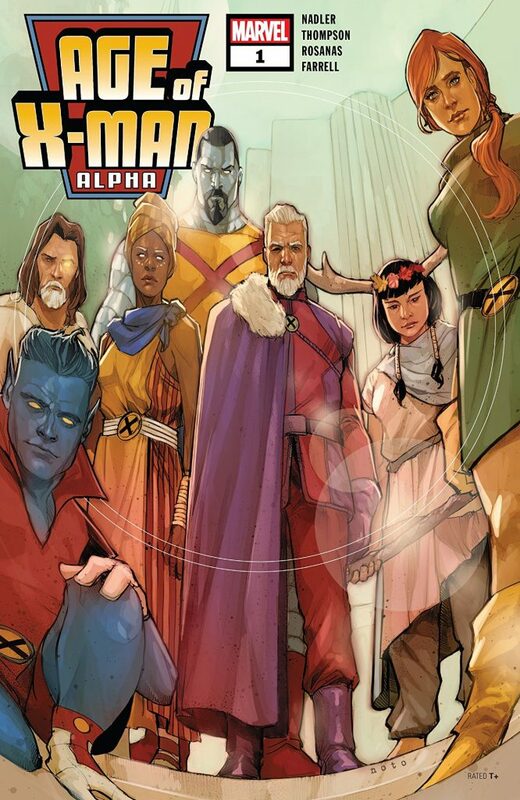 Age of X-Man looks like a deep and compelling twist on Marvel’s Merry Mutants. And it all starts here. CH: When inexplicable stuff requires explaining, when plausible deniability becomes undeniable, who do the authorities call? Ghostbusters. MiBs. Scully and Mulder. Now add immortality. Who can find answers for the Man, yet live to tell the tale because they can hardly do otherwise? Cain. Casca Longinus. Elijah Snow. Bruce Banner. Mix both ingredients into a blender, add a bit of Jeff Lemire-style riffing on four-color tropes, and purée into a comic book smoothie. That’s Wyrd #1, based on the previews and promotions from Dark Horse Comics. Curt Pire’s Piotr Wyrd strikes several chords with me in those solicits. He’s a problem child who solves problems. He’s the kind of asset most bureaucratic agencies would be happy to avoid, but one they can’t exactly afford to lose. Being unable to die also means he’s naturally self-destructive, which makes him an ongoing and eternal pain in Big Brother’s tuchus. Except for those cases they can’t solve without him. From Planetary to X-Files to Sherlock and all the Holmesian derivatives, similar things have been done but not always well. Wyrd has a compelling recipe of ingredients, creative team included, and may bring something entirely new to the ‘deeply flawed heroes foregoing capes’ concept. Art by Vanesa Del Rey. AOK: There’s a lot of subtlety in Redlands. A book about a coven burning their way across the South, the devil cutting off noses and planning prison breaks, alligator men facing off against serial killers, it will have you spinning, but not the way you think. Redlands will make you care for the depraved. Pity the damned. Then, the moment you think you have a fix on who someone is, they crack like an egg, and what was simple and complete becomes larvae. A maggot. 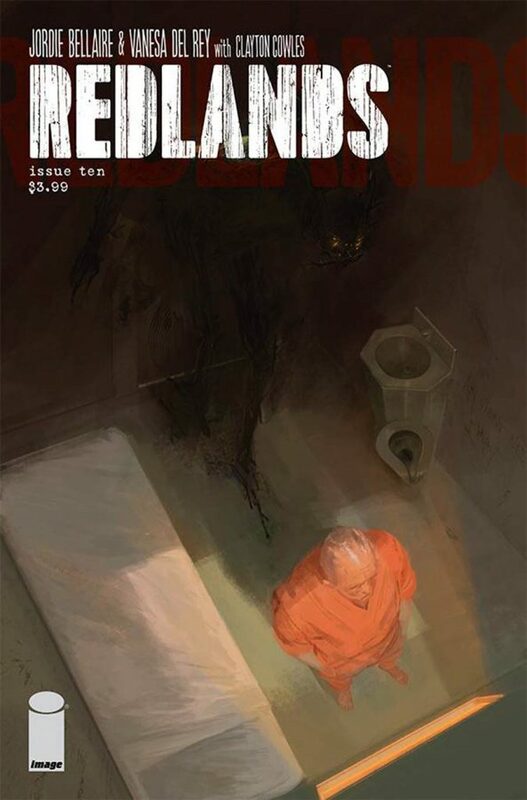 One woman’s revenge is bound to put her at odds with the devil’s machinations in Redlands #10. Monsters from the past emerge from the swamps of Florida and time. Sister is pitted against sister. Now the thunder crashes, or is it worlds colliding? Find out why Redlands is far and away Image’s most harrowing book to date. Written by Cullen Bunn and Clay McLeod Chapman. Art by Guillermo Sanna and Francesco Manna. Letters by VC’s Travis Lanham. SR: When a publisher reaches an anniversary they might choose to go down memory lane with a series of revivals, iconic titles brought back to life by contemporary creators tasked with taking a stab at these earlier works. This often results in fantastic one-offs such as Journey Into Unknown Worlds #1. 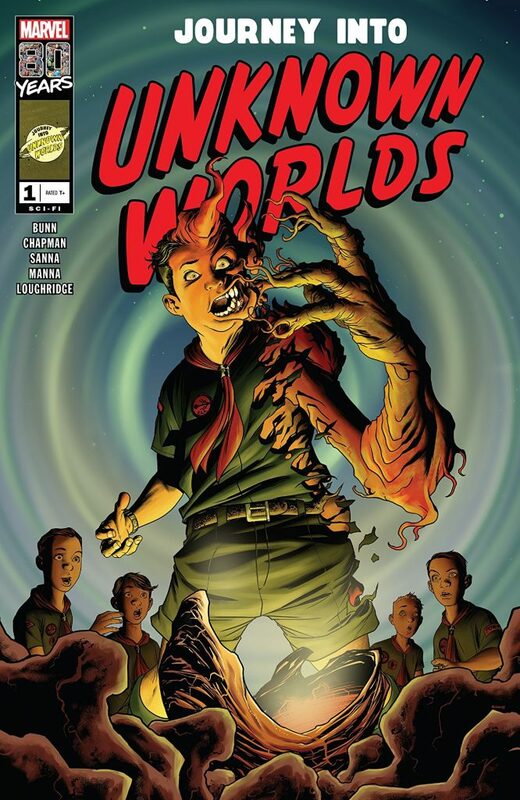 Journey Into Unknown Worlds was a 1950s science-fiction/horror/fantasy series from Atlas Comics, Marvel before it was Marvel, and for this week at least, it’s back. Writers Cullen Bunn & Clay McLeod Chapman have been asked to entertain us with their wildest imaginations: The first of this issue’s tales covers sci-fi, and the latter goes with horror. I sense that both stories will not only enthrall us, but will hearken back to those pulpy Golden Age stories that captured the attention of generations of comic book readers, allowing us the opportunity to love and celebrate the medium as we know it today. What books are you looking forward to reading this week? Sound off in the comments below.